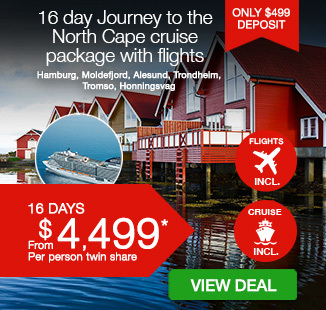 16 day Journey to the North Cape cruise package including return flights, accommodation, 11 day luxury MSC cruise with all meals and more. Incredible fly, stay and cruise package from Webjet Exclusives! 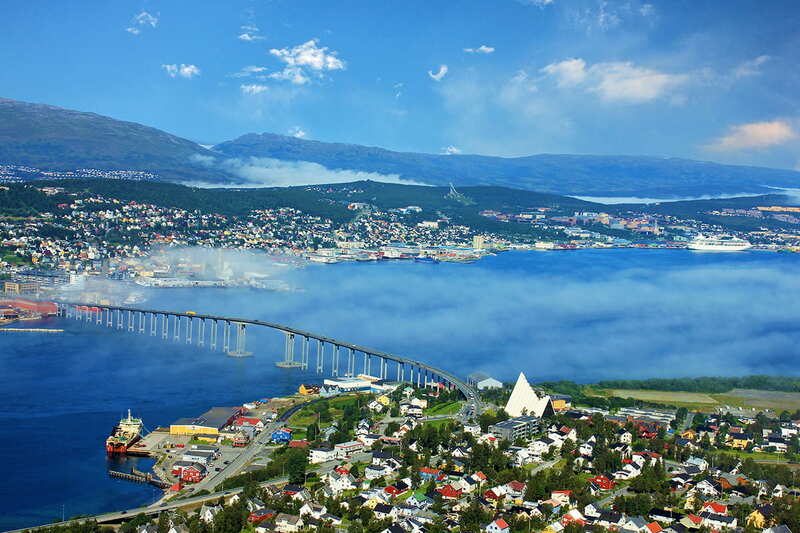 Tick Norway off your bucket list with this unmissable 16 day Journey to the North Cape cruise package. Discover cosmopolitan Hamburg, Germany, visit the Romsdal museum in Molde, Norway, admire the magic of Honningsvåg and its permanently decorated sky, visit Tromso, the viewing point of the Northern Lights, see the medieval centre of Trondheim, the fairytale atmosphere of Ålesund and so much more. 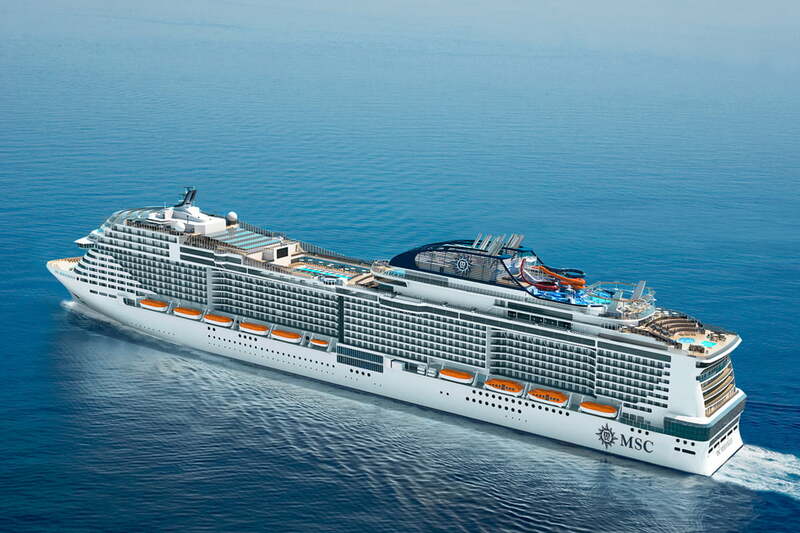 Your package includes return international flights, accommodation, 11 day luxury MSC cruise with all meals and more. MSC Meraviglia offers the perfect experience at sea in every season. 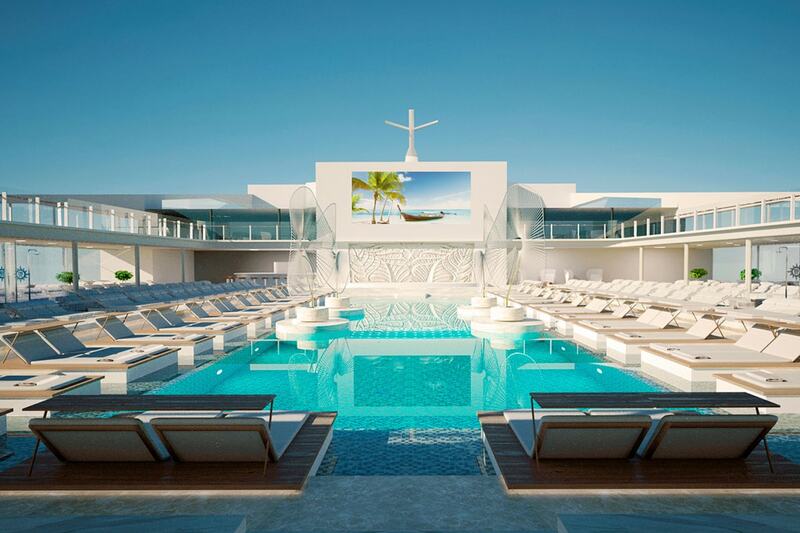 With luxurious accommodation, world-class facilities, exquisite dining options and endless entertainment, this extraordinary ship does not disappoint. 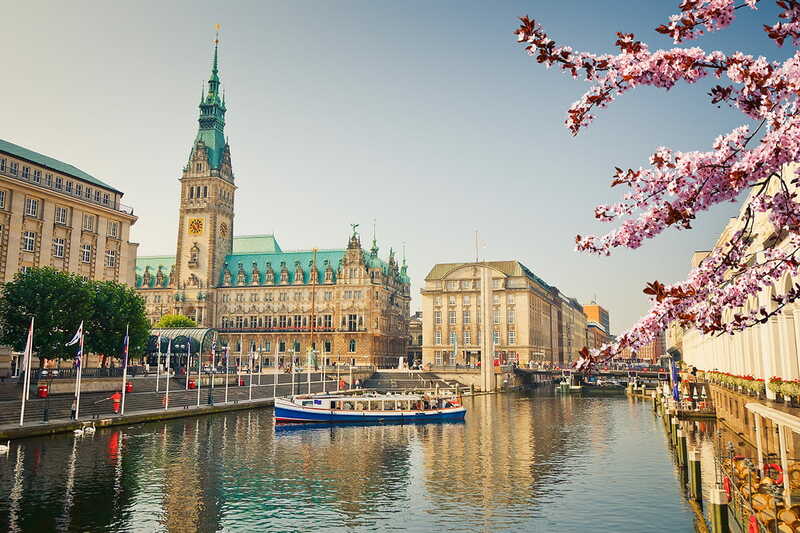 Depart Australia today for your flight to Hamburg, Germany! Arrive Hamburg. 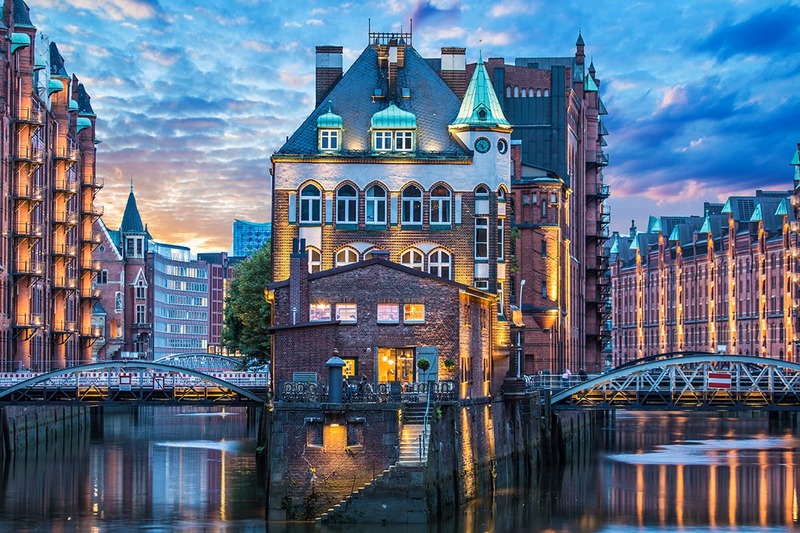 Germany’s second largest city, often referred to as the ‘Venice of the North’, Hamburg is a cosmopolitan, wealthy and fashionable city. Stroll the many canals and waterways or watch the world go by from a waterside café. On arrival, make your own way to your hotel. Enjoy this morning at leisure before making your own way at the appropriate time to the terminal to board your 10 night cruise. 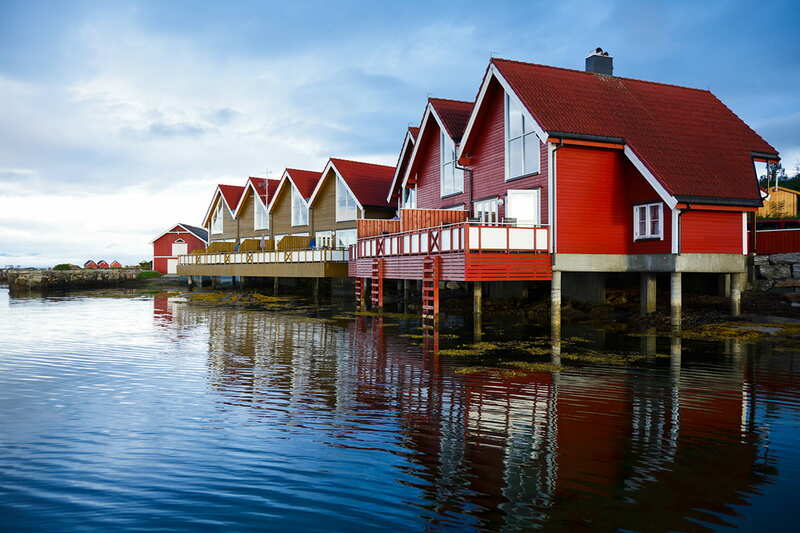 Today is yours to do as much or as little as you like while cruising along the stunning Norwegian coastline towards your first port of call. Molde is the most highly populated city in Norway. When you get to the city centre, you could visit the Romsdal museum where there is a model of a part of town as it was before the Second World War and in which there were 35 buildings built between the 16th and 19th centuries. 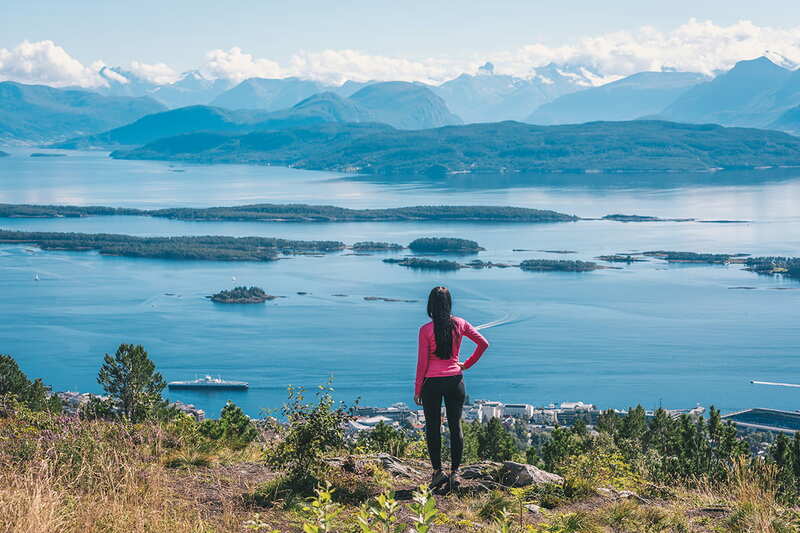 Must see places in Molde include Gudbrandsjuvet and Troll Wall vantage point. 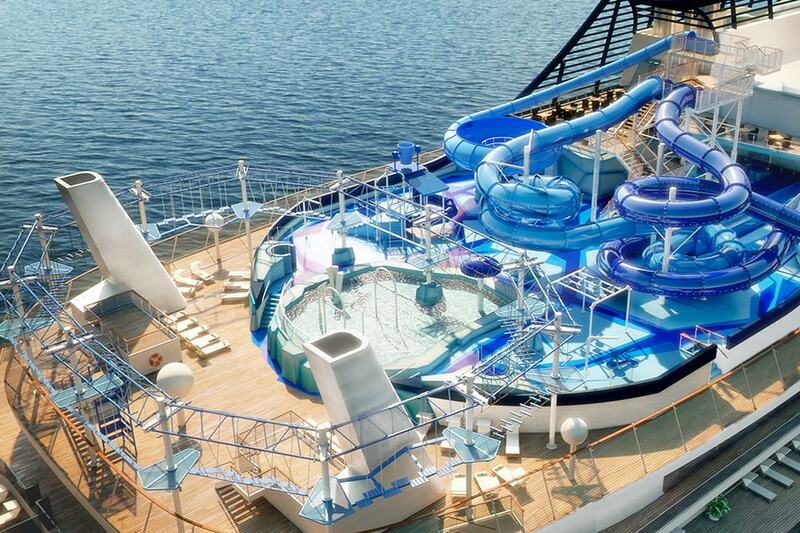 Today is yours to do as much or as little as you like while you continue cruising. 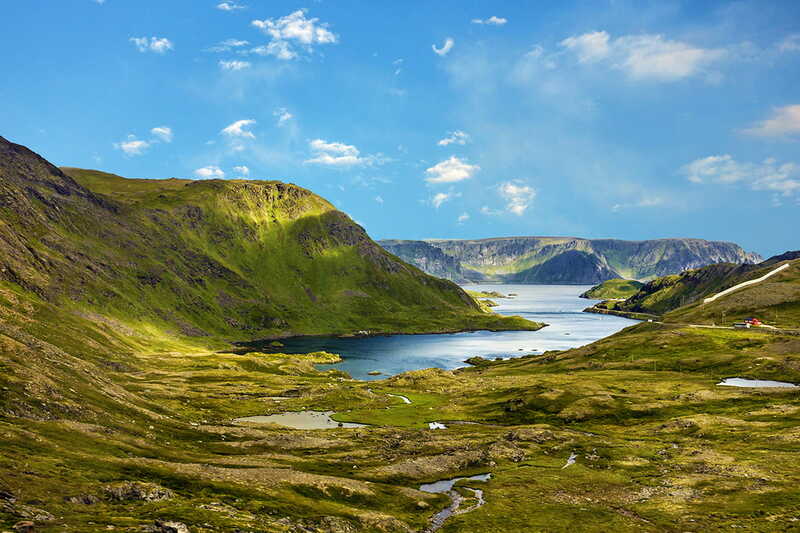 The thrill of reaching Cape North, Nordkapp in Norwegian, the northernmost stretch of land in the European continent, will impress even the most distracted traveller. 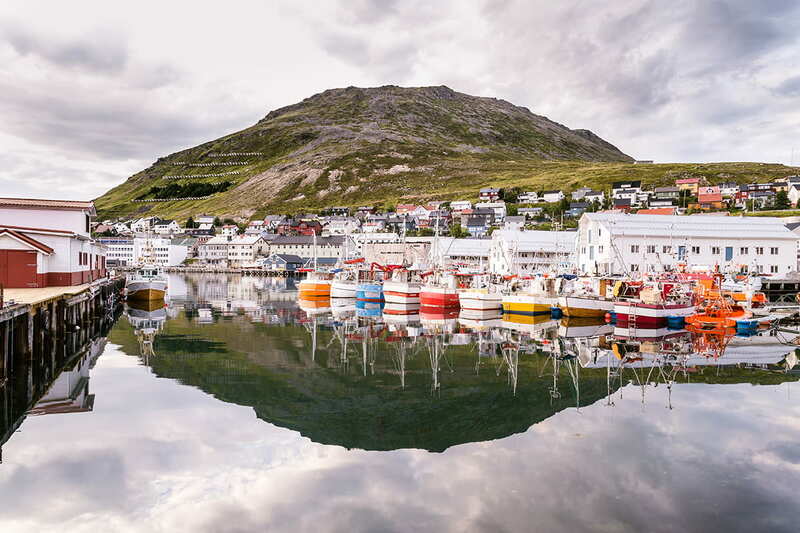 When the ship anchors in Honningsvåg, the sky decorated with permanently iridescent clouds and illuminated by the sunlight that shines 24 hours a day from mid-May to July, offers the most incredible spectacle. You cannot fail to realize you’re in a special place, on the last stretch of continental land before the end of the world. A major cultural hub above the Arctic Circle, famed as a viewing point of the colourful Northern Lights. The city’s historic centre, on the island of Tromsø, is distinguished by its centuries-old wooden houses. The 1965 Arctic Cathedral, with its distinctive peaked roof and soaring stained-glass windows, dominates the skyline. 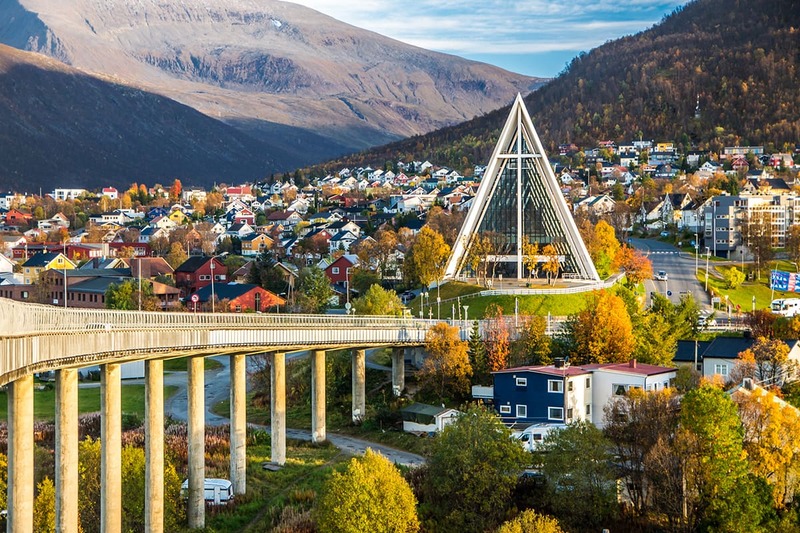 Must see places in Tromso include Tromso Artic Cathedral, Polaria Centre and a Cable Car Tour. 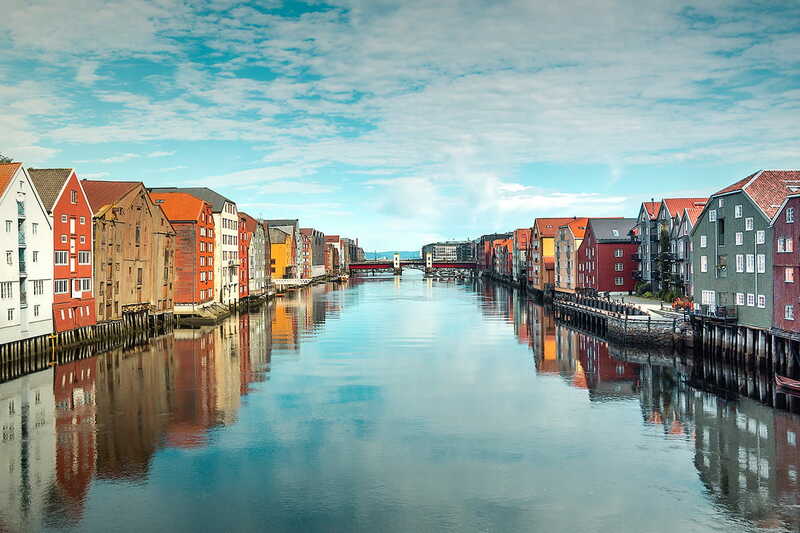 Founded in 997 by Olaf I of Norway, the Viking proponent of the conversion of Norway to Christianity, Trondheim was the capital of the country for over two hundred years and takes its name from the fjord on the shores of which it was erected. You’ll be able to visit what remains of the city’s medieval centre, admire the vivacious university life and the imposing Nidarosdomen (Nidaros Cathedral) which dates back to the 12th century. 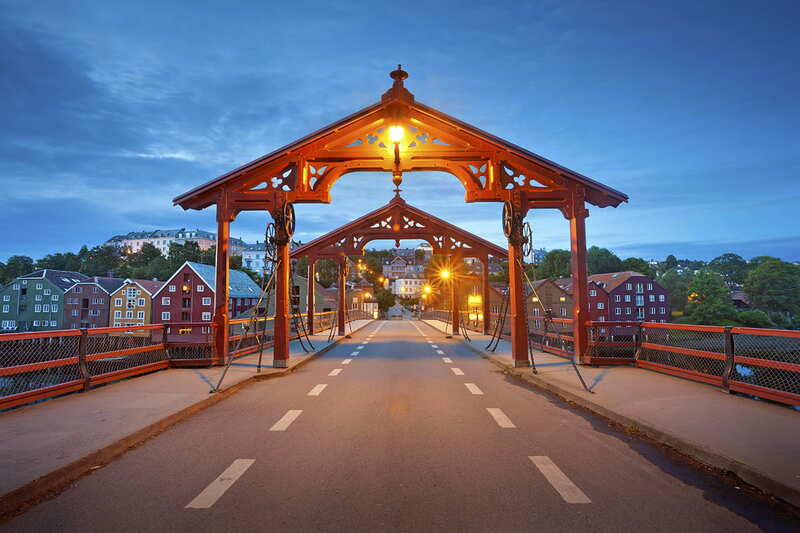 Must see places in Trondheim include Nidaros Cathedral, waterfront houses and Sverresborg Trøndelag. 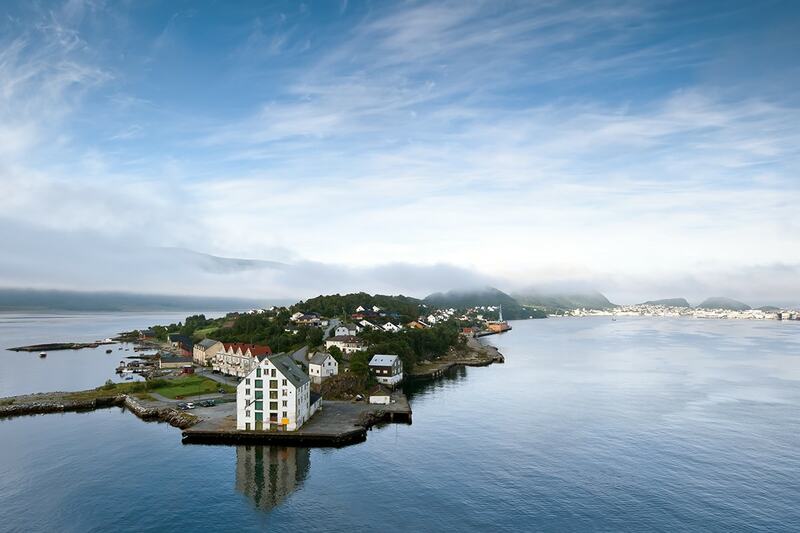 Visiting Ålesund means plunging into a fairy tale atmosphere. After a devastating fire, the town was rebuilt at the beginning of the 20th century in art Amazing venue on the sea nouveau style. The streets of Ålesund are filled with turrets, spires and splendid decorations that make it truly unique; if you enjoy this style, you should visit the Jugendstilsenteret, the National Art Nouveau Centre. 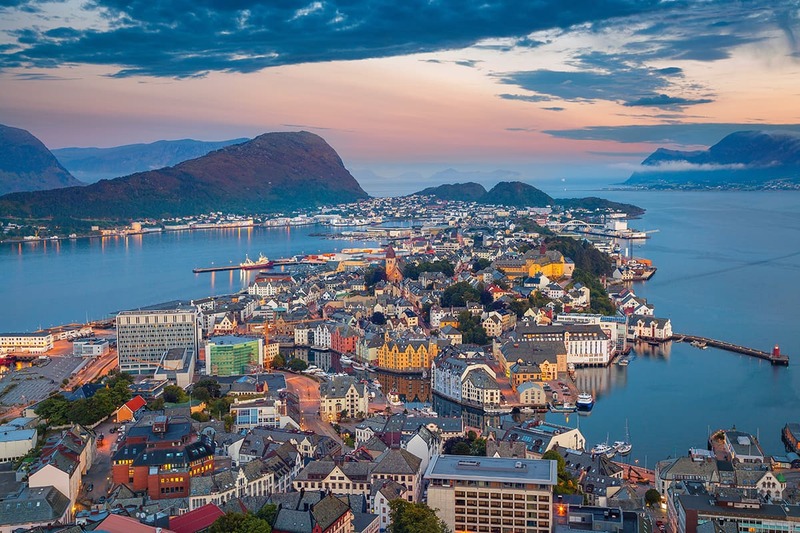 You can admire the centre of Ålesund from above by climbing up the 418 steps that lead you to the panoramic heights of Mount Aksla with a view of the islands that surround the town and of the Sunnmøre Alps. Must see places in Alesund include Sugartop Mountain, Aksla viewpoint and viewing a spectacular waterfall in Geirangerfjord. This morning you’ll arrive back in Hamburg. 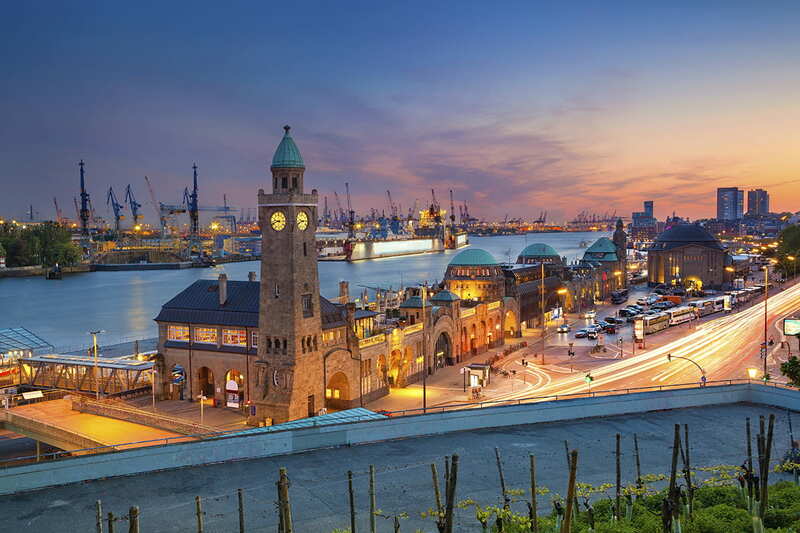 Make your own way from the port to your Hamburg Hotel. The rest of the day is yours at leisure. Free day at leisure to explore Hamburg. Today at the appropriate time, make your own way to the airport for your homeward flight. Travel dates are subject to availability. If your preferred travel date cannot be confirmed after submitting your booking form, you will receive a refund of the deposit paid. Final payment is due 210 days prior to your travel date. If you book within 210 days of travel, you will be sent a final invoice within 7 days. 16 Day Inside Cabin: $2,799 per person in addition to the twin share voucher. 16 Day Oceanview Cabin: $3,399 per person in addition to the twin share voucher. 16 Day Balcony Cabin: $3,899 per person in addition to the twin share voucher. Your quote will not be provided immediately and will be processed in departure date order only after the final payment.